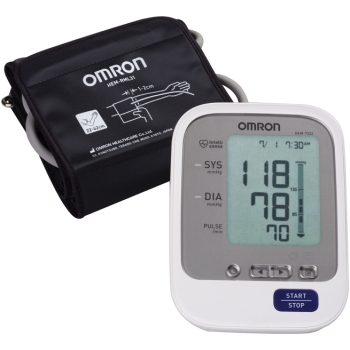 Omron Sphygmomanometer HEM7322 is one of the best selling blood pressure monitoring devices. The easy one touch operation makes the monitoring of blood pressure both simple and accurate. All you need to do is sit down comfortably with your feet on the ground and keep your back straight. Simply wrap the cuff around the upper arm and press the start/stop button; an accurate blood pressure reading will appear on the LCD screen.